Our demolition contractors are here to provide you with results no matter the building and when you find yourself in need of a quality garage demolition for your property, you can count on the experience and expertise that our professionals deliver. We follow the necessary steps in order to provide you with the exact results you’re looking for. 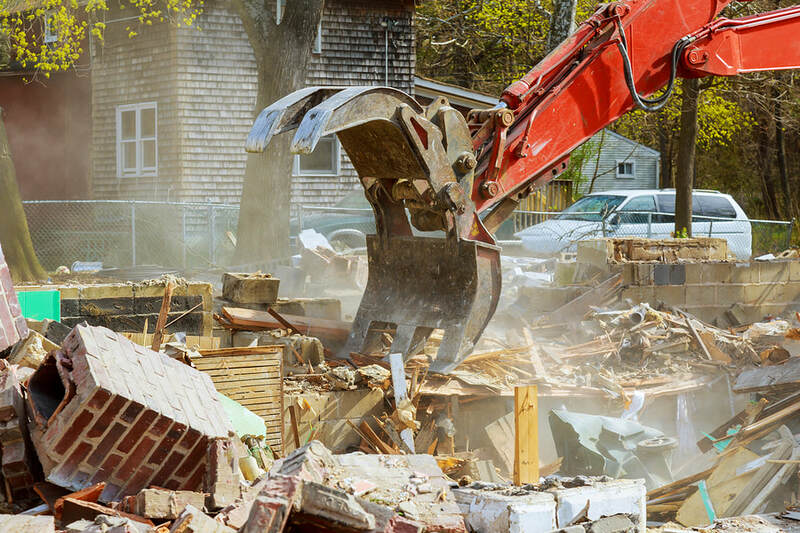 With the right breakdown procedures, disposal and recycling of former building materials and more, you can count on Victoria Demolition to take the extra steps necessary. Your residential property can be an ever-changing space, requiring various items to be installed and removed over time. This can especially be the case when the initial installation of an addition to your property hasn’t lived up to your needs or expectations. Whether you’re looking to fully remove your garage from your property or to have the space in which you can rebuild, choosing the expertise of Victoria Demolition will provide you with the level of clearance you need to make your next property steps easier. All it takes is a simple phone call to get the process started. Commercial garages require a higher level of expertise and capability in order to bring complete and reliable results to your property. Whether you have an attached or detached garage, turning to your local demolition contractors of choice will ensure that you get the best possible result in order to move forward on any other plans you may have for your space. Whether looking to bring a new garage into its place, or to make different choices on the future of your property, our experts are here to provide you with the expertise needed to do so with the best possible foundation. When removing a garage that is currently connected to a major building, whether residential or commercial, ensuring that the removal is carried out in a way that delivers a clean finish and flush surfaces will provide you with an easier to work with surface, giving you the capability to treat the siding as you will. Whether looking to replace the material in order to give your main building the complete look you seek without the garage in place, or to have a foundation that is conducive to future building plans, you can count on the experts at Victoria Demolition to provide options. In order to deliver our quality services to those in need, we focus on a wide range of service locations. You can depend on our experts to provide fast and reliable offerings to the areas of Victoria, Victoria County, Calhoun County, Goliad County, Point Comfort, Port Lavaca, Seadrift, Bloomington, Inez, Port O'Connor, Nursery, Tivoli, Fannin, Thomaston, Weesatche, Cuero, Refugio, Nordheim, Yorktown, Lamar, Sarco, Fulton, and Rockport. We are dedicated to ensuring that those who require professional services, no matter the need, have the access required to the best in the business when it comes to local demolition contractors available.